In April 2012, CMLC announced another major land deal - our third in East Village - with US-based Widewaters Group, a real estate development and management company with extensive experience in retail, hospitality and office development throughout the United States and Canada. 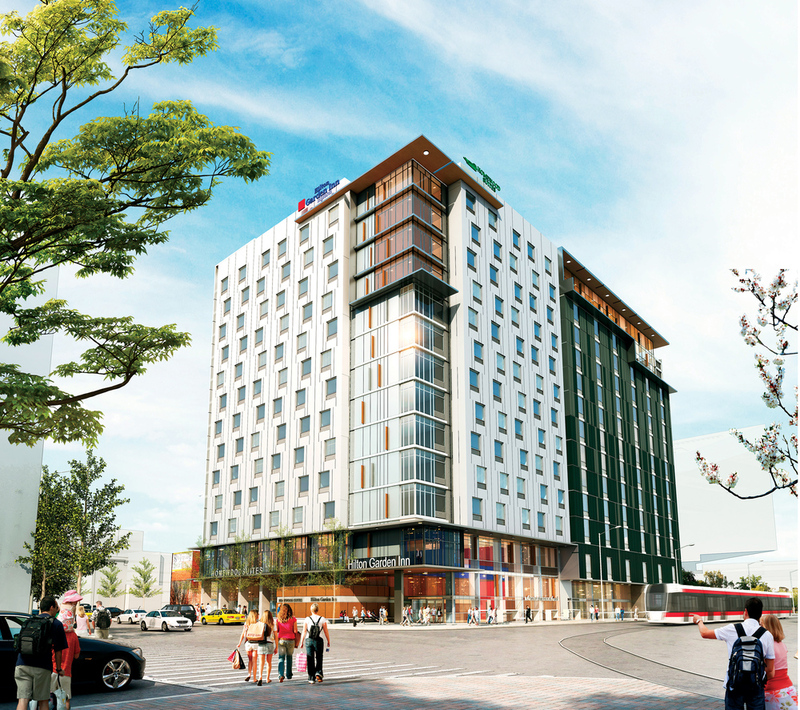 Valued at approximately $75 million, the deal has ushered in construction of a 303-room, dual branded Hilton Hotel along the neighbourhood’s 4th Street SE commercial node. The hotel opened their doors in November 2016. Situated at the corner of 7th Avenue and 4th Street SE, the Hilton in East Village is a 208,000 sq ft, 14-storey, full-service hotel that combines the brands of Hilton Garden Inn Calgary Downtown and Homewood Suites Calgary Downtown under one roof. The hotel contains a south facing rooftop terrace with pool and fitness facilities together with library and convention services and two levels of underground parking.